Komodo Island rise as a new hot destination that seemed like a blend of real-life Jurassic Park with lost paradise. Located in front of Indonesian frontier, the islands bloom in remoteness, away from the touch of human hands. 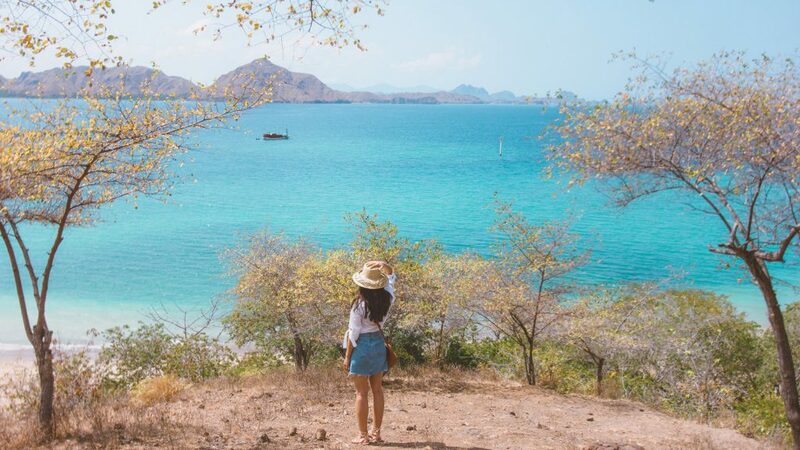 Going to the Komodo National Park will bond you to a handful of adventures, an endless supply of jaw-dropping landscape, and unequaled tranquility. To ensure you got the best experience, I highly recommend you to do these things before going to Komodo and around. Flores and the Komodo National Park are among the most tumultuous region on the country. A lot of top attractions require you to do a lot of hiking and trekking. Be it seeing the dragons in Komodo and Rinca, reaching the famous viewpoint in Padar, or enjoying the sunset in Gili Lawa. You are going to need a highly fit body to go through it all. Especially when you are planning to go snorkel or dive as well. You can do a little work out to train your body with physical exercise. Do a little morning jog, running, yoga, or speed walk for some weeks before going to Komodo Island. Komodo Island and each of its surrounding island are seriously beautiful. You will have the otherworldly rosy-tinted Pink Beach. Get surrounded by the crazily clear blue water, with undisturbed reefs shown through the surface. You will be spoiled with an amazing lookout of rolling hills and curved beaches. And of course, getting awed by the dreadful and majestic Komodo dragon itself. Everything on Komodo begged an extra space on your camera. Make sure you have emptied your phone and camera memories before embarking on the journey. You don’t want to go regret for not being able to eternalize the uncanny scenery, do you? The dragons are very gifted for their smelling sense; they can smell blood from kilometers away. And once their darting tongues taste yummy particles of blood in the air That’s why women traveler should pay extra attention to their calendar. You can tell the rangers, though, if your period happened to fall in during the trip. They will pay extra attention to you to guard you against the dragons. However, it’s best to plan a trip before or after your period fall than…having an awkward discussion with the rangers. The Komodo National Park encompasses more than 29 islands that are still pristine and remote. Each has its own charm and distinctive beauty. Beneath the land, the NP also boasts world-class diving sites and among the best in Indonesia. It’s good to do a good research about Komodo Island and the islets around it before arranging your itinerary. Popular destinations are Padar, Kanawa, Gili Lawa, and Manta Point, but there’s still a lot of gorgeous destination to visit. Do your homework and you’ll know what’s waiting for you out there!